This 2019 Porsche 911 Carrera is proudly offered by Porsche Hawaii You appreciate the finer things in life, the vehicle you drive should not be the exception. Style, performance, sophistication is in a class of its own with this stunning Porsche 911. The Porsche 911 Carrera will provide you with everything you have always wanted in a car -- Quality, Reliability, and Character. There is no reason why you shouldn't buy this Porsche 911 Carrera. It is incomparable for the price and quality. You could keep looking, but why? You've found the perfect vehicle right here. This outstanding example of a 2019 Porsche 911 Carrera T is offered by Porsche Hawaii. There's a level of quality and refinement in this Porsche 911 that you won't find in your average vehicle. You can finally stop searching... You've found the one you've been looking for. The Porsche 911 Carrera T will provide you with everything you have always wanted in a car -- Quality, Reliability, and Character. You've found the one you've been looking for. Your dream car. 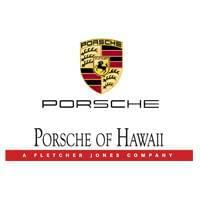 This 2019 Porsche 911 Carrera 4S is offered to you for sale by Porsche Hawaii. You appreciate the finer things in life, the vehicle you drive should not be the exception. Style, performance, sophistication is in a class of its own with this stunning Porsche 911. Few vehicles can match the safety and comfort of this AWD Porsche 911 Carrera 4S. With enhanced performance, refined interior and exceptional fuel efficiency, this AWD Porsche is in a class of its own. Beautiful color combination with Carrara White Metallic exterior over LTHR INT BLK/BOR RED interior making this the one to own! This is about the time when you're saying it is too good to be true, and let us be the one's to tell you, it is absolutely true. Contact Porsche Hawaii today for information on dozens of vehicles like this 2019 Porsche 911 Carrera S. With adjectives like sporty, classy, and downright indulgent to describe the 2019 Porsche 911 Carrera S, you'll love every minute of owning and driving this convertible. You may never go back to a closed-cabin car! There's a level of quality and refinement in this Porsche 911 that you won't find in your average vehicle. There is no reason why you shouldn't buy this Porsche 911 Carrera S. It is incomparable for the price and quality. Beautiful color combination with Carrara White Metallic exterior over BY NAT LTHR ESP/COGN interior making this the one to own! We appreciate your interest in our inventory, and apologize we do not have model details displaying on the website at this time. Please fill the form out below and our team will quickly respond, or, please call us at (808) 791-2326 for more information.